Hello, Reiki Rays. My name is Jerry. I’m a Level 2, or second degree Reiki practitioner, I don’t call myself a Master. I’ve got my Reiki first degree in 2008 and my second in 2009, and I was trained personally by my Reiki instructor in Hollister, California. My question is, because I had personal training, if somebody was to get their training online, how do they receive their attunement, and how do they know it’s actually a locked in attunement? I appreciate the answer. Hi Jerry, my name is Ananya, founder of Zino Athens Reiki. Distance attunements work exactly the same way as distance healing. Reiki works based on your intention, hence whether the attunement happens in person or on Skype, the effect of the attunement is the same. There is no difference in the energy that is passed on to the student. Moreover, your Reiki guides will be present during the attunement to ensure that you are aligned to the energy. You will know the attunement has worked because you will feel an increased sensitivity in your palms – sometimes, not always 🙂 . And your energy levels will pick up a great deal. If you become a Reiki Master now, that itself will put you on a higher vibration than your current level of energy. So, go for it! Hello Jerry. I can understand your concern about a distance attunement. I am one of those who received distance attunement and I believe I am as capable as any other Reiki master. I have had comments from other practitioner that said they could fell my energy very strongly. Hi, Reiki masters! 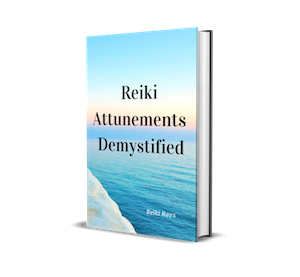 I am reading about distant Reiki attunements and am fascinated! I moved here in 2012 and cannot find my American master so far. Just like Jerry, I would love to be attuned in Reiki 3 distantly, because the country is so wide! Please, if someone whose senses resonate with my request, contact me with your conditions! I have some questions, if you don’t mind.